the black text is the original text; in blue is ours. This e-mail was sent to a large number of people, including schools as part of an action plan to rally support for the Mimiwhangata full reserve proposal. Vince Kerr is consultant for the Department of Conservation in what it calls their 'northern chapter', together with Dr Roger Grace. Both have spent a long time studying the area and various reports to DoC have been produced by them. Vince Kerr also runs the Nga Maunga ki te Moana (from the mountains to the sea) Conservation Trust. The reason we bring this e-mail to your attention is that it is full of misleading information, regurgitated by scientists who should know better. It serves to brain-wash innocent school children who are then are asked to give their support in order to boost the count of the number of proponents. How much sadder can it get? It is also rather disturbing that so many nonsensical, false and misleading statements come from people who call themselves scientists, people who lead the pro-marine reserves lobby, people who hush up what is really happening in the sea at any cost to serve their own beliefs. Read on. After three years of investigation and discussions with the local hapu, a proposal for a Marine Reserve at Mimiwhangata has hit the streets. While the country is preoccupied with the theory of who owns the coast our marine environments continue to decline ……….. At Mimiwhangata something very different and positive is going on. In my view we do not have the right to postpone taking simple steps to address this serious decline of marine life. 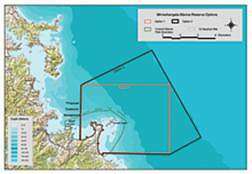 Marine reserves are no longer an experiment in NZ or internationally. They deliver biodiversity protection and promise much more in terms of emergent network properties. In simple terms an effective network of marine reserves will support all parts of the marine ecosystem and the valuable functions it performs. It can easily be argued that our marine environment is our most valuable natural system and resource. It is suffering under massive strain from exploitation and pollution. It is a simple and sensible idea to set aside a few areas as ‘natural’. It is irresponsible not to so in today's world. The author is correct noting that marine life is in decline and he even mentions pollution. What he does not know is that pollution has become the main degrading influence on the sea, leaving the effect of exploitation (fishing) far behind. In fact, pollution causes a decline in fish stocks, which looks as if it was caused by overfishing. Are marine reserves going to help? Of course not, as is proven beyond any doubt by all the coastal marine reserves in NZ. To claim that marine reserves are no longer an experiment and that they deliver biodiversity protection, is not borne out by the facts. We now have overwhelming anecdotal and scientific information that the biodiversity in all our coastal marine reserves is declining. Will networks of these help? Of course not. A chain is but as strong as its weakest link and a chain of degrading marine reserves will be a degrading chain of reserves. Does it make sense to set aside natural areas? If pollution were no threat, it would. But how natural would a protected area be in the whole where natural means fished? In Northland with DoC support, a research team consisting of scientists and students from the Leigh Lab, Dr Roger Grace and myself have undertaken biological surveys and habitat mapping at Mimiwhangata on the Whangarei coast over the past three years. Very misleading indeed. The fact is that DoC is pushing for more marine reserves, and has contracted (and paid for with your and my money) scientists to investigate for the sole purpose of converting this MPA protected area into a fully protected marine reserve. A partial protection, Marine Park where recreational fishing is allowed has been in place at Mimiwhangata for 20 years. The MinFish administered Marine Park has not brought about improvements in marine life. False. This park was managed for recreational fishing by excluding commercial fishers, and as such it has been an overwhelming success. To claim that the environment should have recovered as if no fishing took place, is misleading. Some vitally important habitats, namely shallow algal forests have suffered serious decline. Entirely false. What is referred to is a perceived (but not proven) change in the shallow tangleweed stands (Carpophyllum flexuosum). But these seaweeds do not belong on an exposed coast, and may after a long period of no storms, grow tall in sheltered areas. To claim that tangleweed stands are vitally important, is complete hogwash and is not backed by scientific fact. Some species appear to be in a long term decline trend or are static at very low abundance levels. Yes, even at the Poor Knights, robust fish species have declined alarmingly in the past ten years, as has been proven scientifically. Yet, this was not caused by fishing. To claim species decline at Mimiwhangata and to suggest that this was caused by lack of protection, is scientifically quite unacceptable. Where is the proof that degradation did NOT cause it? The Leigh lab team compared fish numbers at Mimiwhangata to marine reserves at Poor Knights Islands and Leigh and further a field. In the marine reserves there are now more snapper, up to 10x more and they are larger than at Mimiwhangata. Mimiwhangata snapper numbers were no higher inside than outside the Marine Park. Time and again we see scientists use scientific facts out of context and in an unscientific manner. Snapper is indeed a poorly managed fish stock, and this needs to be fixed. But to use snapper as an excuse for having marine reserves is indefensible. Furthermore, to use the factor of ten is mischievous, as it applies only to the Goat Island marine reserve, where a snapper hotspot exists. 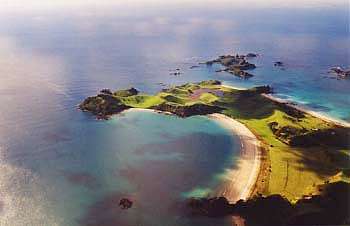 Goat Island is not a representative marine reserve and should not be used for comparison. Likewise the oasis-type of marine reserve around the Poor Knights is not representative either as it attracts fish from far around. A child can figure this out. Crayfish numbers are very low in the shallow reef areas at Mimiwhangata, with packhorse crayfish disappearing from study sites completely. Again a mischievous claim. Mimiwhangata does not have good crayfish habitat and crayfish is also a poorly managed fish stock. Packhorse crayfish used to be more common but there is no proof that they have declined solely due to fishing. Temperature changes and degradation are also main factors. We have seen five out of six crayfish disappear from the fully protected Goat Island marine reserve in 1998 and their numbers are not recovering. Why is this never mentioned? We simply do not know the flow on affects of the observed changes to ecosystems and organisms not yet studied. Worse we have no natural refuge areas remaining which we could evaluate changes against. Over time marine reserves become natural refuges and nursery areas. False. Fact is that none of our marine reserves have become refuges for all species as most species are in serious decline. Even snapper are not protected as they move freely in and out for feeding and spawning. Fact is that there are very large de-facto protected areas (like cable ways) that are not being studied. There is 3000km2 of this compared to 150km2 in marine reserves. Perhaps one of the most exciting aspects of the Mimiwhangata project is that for some time now we have been working under the guidance of the Kaumatua of the area. Our proposal features the statement of Houpeke Piripi of Te Uri O Hikihiki on Page 1. This meeting of the minds between conservationists and Tangata Whenua/Moana is no accident; we have been committed to making it happen. I believe it was destined to occur because we have so much in common. We feel great things will grow from this partnership. The commitment, leadership and vision that the Kaumatua and Kuia are demonstrating as Kaitiaki of Mimiwhangata is something we should all get behind and support. DoC has been dishonest with the local Tangata Whenua who expect only a temporary closure (tapu) and have been made to believe that a marine reserve can be reviewed at a later date to recommence fishing. Fact is that this is not so. Northern Maori have now realised that their main source of seafood comes from recreational fishing and not from customary rights which are very restricted. They have never been offered full custodianship by way of Mataitai or Taiapure. Consequently, Maori support can now no longer be counted on. The Mimiwhangata marine reserve proposal is special: it is of a significant size, it will include a spectacular array of connected habitats, it will provide opportunities for the hapu to lead in conservation on our coast, it will support our next efforts to establish a process leading to the creation of a network of marine reserves in Northland. It is your chance to make a difference for the ocean. Imagine visiting Mimiwhangata one day and seeing a bit of the Northland coast where the marine life is completely undisturbed! Yes, it is large and has many connected habitats. But false again. Much ado is being made of networks of protected areas by scientists worldwide. But fact remains that none of this has ever been proved as it is all based on belief, assisted by computer models of fictional environments. Not even one pilot study has been conducted anywhere in the world. So, armed with no knowledge at all, scientists are pressing for these fictional networks that steal fishermen's rights without any tangible benefit in return. How stupid is this? To claim that marine life will return to a completely undisturbed state is indefensible as this has not happened in any of our coastal marine reserves and cannot happen until the threat from degradation is taken away. Department of Conservation, Northland Conservancy Office, PO Box 842, Whangarei. Much better is to get a Seafriends CD ($30) with the entire content of the Seafriends web site: 2500 pages of learning with over 5000 images and screen-sized slide shows of 1500 underwater photographs. The world's best information about the sea and its predicament and entirely reliable as it is independent and not influenced by government agendas or beliefs. As you are probably aware marine reserves are created in this country through a somewhat complex and lengthy process. You may also be aware that there is substantial support for marine reserves in New Zealand and for an effective network of marine reserves. While this is wonderful it must be demonstrated by submissions of support for each proposal. A strong showing of support for this proposal will give DoC and the government the confidence to continue with marine reserve work. It will also provide justification for the formal application for the marine reserve at Mimiwhangata to be lodged with out delay. So it is important for the silent majority who support marine conservation and marine reserves to be submitters. False. DoC has never listened to objections and has spent millions on blatantly false propaganda to brainwash New Zealanders for supporting marine reserves. As long as people are kept in the dark about what has really happened to our existing marine reserves and that none of them work, of course they will remain supportive. Had the author been scientifically neutral, he would have asked the reader to either support or object to the proposal. He would also have mentioned the real state of marine protection. Could he be biased? You can submit your comments for this marine reserve proposal on the questionnaire available from the DoC website. You can also send an email submission or post a letter with comments, your name and address. The submissions can be as simple as “I support the marine reserve proposal” or they can be complex and you can develop your reasons for support as much as you like. At the end of this email I have copied The Marine Reserve Manifesto for NZ by Dr Bill Ballantine. This is a good place to start thinking about marine reserves. If you support this proposal I am asking you to complete a submission and send it to DoC, Northland. You can use the questionnaire available on the DoC website or send an email including your name and address by simply clicking on the email link above. If you do this you will have made a significant contribution to this project. Reader, witness how a simple click without any personal input is used to count support. We know that thousands of personal votes, complete with personal notes have been rejected or counted as a single vote when they were objections. How fair is that? Discuss this proposal with five, (or more) people and seek their support in the form of a submission. Achieving an effective network of marine reserves in New Zealand is something we can all contribute to and support now, in the same we are committed to our national Parks on land. Time and again marine reserves are compared with our National Parks, which is extremely misleading. Our National Parks are the left-over no-good lands, mainly consisting of rock and ice; places to poor, too dry, too wet, too steep to do anything with. And inside these all kinds of pest roam freely, from rats, stoats, feral cats, deer, goats, possums, wasps to wilding pines and other noxious plants. In the long term, these Parks do not protect our native wildlife. By contrast, the sea is productive everywhere and easily accessible. Very few introduced species are found here. It is pristine by comparison, even under the pressure from fishing. Activate your own networks, family, workmates etc. to support of this marine reserve proposal. Write a letter to the editor of the Northern Advocate or Herald. Write to the Ministers of Conservation, Fisheries and Environment. Submissions for the Proposal close on October 12 . If the response is favourable the project will then move into the formal Application stage. False. It will go ahead anyway, regardless of overwhelming averse public reaction. Disclaimer: The message above does not necessarily represent the views, position or policy of the Department of Conservation or any other organisation other than Nga Maunga ki te Moana Conservation Trust and myself as author. In New Zealand, we have discussed marine reserves for 40 years. We established the first reserve 30 years ago. We now have 18 reserves. We know that they are practical, and that once established they are popular and successful. We have carried out enough trials and tests. We should now move to a policy based on principles. We need to organise the scientists, interest the general public, inform the politicians and instruct the planners. Quite misleading. The author says they are practical; not that they work or protect the environment. He says they are popular and successful as measured by the number of visitors, rather than by the state of the environment. He says that enough trials and tests have been carried out, but not what their results are. Why is it that DoC is still trying hard to prove that marine reserves are working, each time being thrown back by contrary evidence? Why do we want to rush ahead with so little supportive and so much contrary evidence? Marine life existed before people became active in the sea, and this life maintained itself. So what? Natural marine life is abundant, varied and complex. It is important to the whole planet. So what? We are still very ignorant about it. We do not know what is necessary to sustain it. Ignorance as excuse for remaining uninformed? Our activities in the sea (fishing, dumping, dredging, etc.) can kill or degrade marine life. The damage has increased over the years; and now threatens the sustainability of marine life. False. Notice the use of the word can. There is no scientific evidence that either dumping or dredging has ever caused lasting ill effects, even though many studies have been done. Why then use this argument? Why does the author choose to remain ignorant of the massive threat from degradation which does threaten the sustainability of life? Marine reserves do not help here. By contrast, the threat from fishing is easily controlled. Our existing ways of managing the sea are useful, but are not enough to control this damage. Fisheries management is indeed not able to control degradation, and neither are marine reserves. We need to focus on the main threat to the sea in order to save it. More positive action is also needed. Fully-protected marine reserves will help maintain (or restore) all marine life. False. There exists overwhelming evidence that they do not where degradation is found, as is now the case around our entire coast. Marine reserves are also useful to science, education, recreation and standard management. Marine reserves are useful for science, education and recreation and we should have them wherever they can deliver to their expectations. Not just for the sake of having them. Marine reserves are a new, different and additional form of management. Standard management will continue (and improve) in the rest of the sea. Nonsense. Marine reserves are now an excuse for doing nothing to the real threats from land-based pollution. Standard management will improve only if we want to; not because some areas are protected. All these points are universal. Marine reserves are needed everywhere. In each region, the reserves must form a system which is large to sustain itself. Are they needed? By whom? Those who use the sea will certainly disagree as they are the ones having to make a sacrifice for no compensation and no demonstrable benefit in return. Why is the social and economic cost never mentioned? Why is it never mentioned that better ways exist? Each reserve is big enough to be viable. All major habitats are included in reserves. There are several separate examples of each habitat. The reserves are spread throughout the region (a network). Public interest in the reserves is actively encouraged. Research and monitoring is carried out. The Government will adopt this policy to ensure action in the general public interest. In each region, there are many arrangements of reserves that conform to the policy, so anyone interested can be involved in deciding the details. This policy and its principles provide the necessary guidelines for practical action. Existing information is sufficient for action in all regions. The matter is urgent. Safe-guarding our children's future requires action now. Is the matter urgent? Why? Why do the wrong thing today when we can do it right tomorrow? We see the seas deteriorating at an alarming rate, mainly due to degradation but marine reserves cannot help, as is overwhelmingly borne out by all marine reserves we now have. So why hurry?